Everything you need to prepare for the GMAT® exam in one package. Get all three of the Official GMAT study guides – with 25% new content and actual retired questions from the GMAT exam. 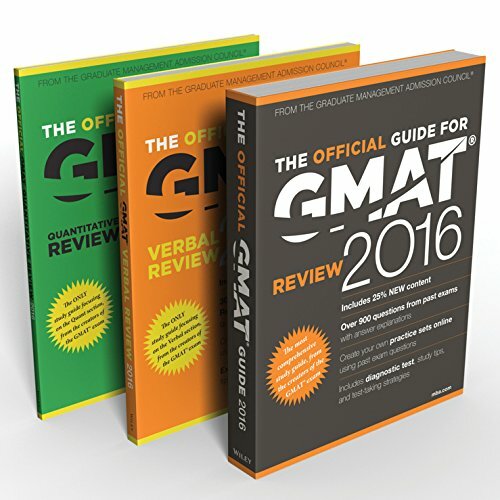 The set bundle includes The Official Guide for GMAT Review 2016, The Official Guide for GMAT Quantitative Review 2016 and The Official Guide for GMAT Verbal Review 2016. All three guides come with exclusive access to an online question bank and videos with insight and tips on GMAT preparation from previous test-takers and the officials who create the test.